Fully adjustable NB computer holder(model #24-06 series) - Sallas Industrial Co., Ltd.
Well designed platforms for holding notebook computer and saving work space. Well designed NB computer clamp with soft pad for holding any size of laptop computer. 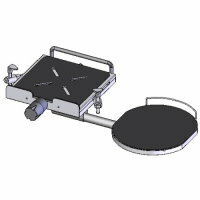 Optional extended mouse tray with adjustable tilt angle and extended length can be installed for either left hand or right hand users. 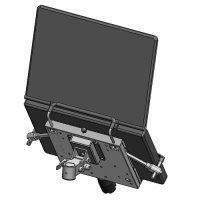 Modular design suitable to be installed on any Sallas support arm. It give wide range of NB holder mounting solutions.